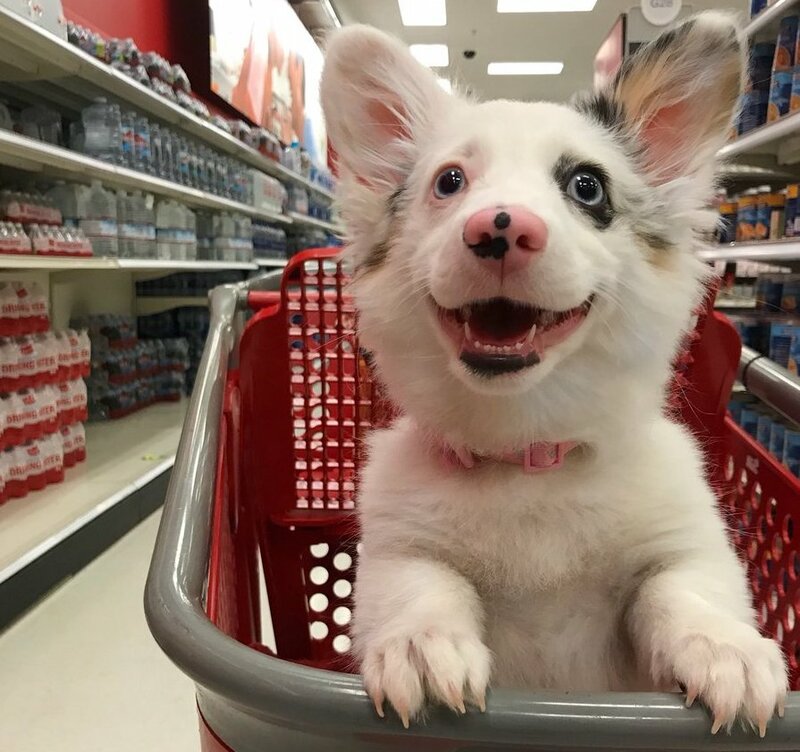 Today’s dose of cuteness comes in the form of a dog who had the best time shopping at Target. Her owner shared some too-cute-for-words photos of their Target run on social media. And unsurprisingly, the puppy pics went viral. Twitter user @virgoprincxss tweeted out the photos of her cute doggo Zira on Wednesday, January 3rd. Zira, who is a four-month-old Corgi-Aussie mix, looks absolutely thrilled to be at Target, and we honestly could not relate more. Apparently, we’re not the only ones. As of this writing, the tweet has racked up over 546,000 likes and 144,000 retweets. Following the viral tweet, a flurry of “pets at Target” photos also hit Twitter. However, someone made the interesting point that it’s illegal for non-service dogs to be in Target. They said it could cause problems for true service dogs and their owners. It’s a valid point. But Zira’s a classy lady, so she responded on Facebook, posting photos of herself enjoying a trip to PetSmart, where dogs are very much allowed. “Who would’ve known PetSmart is just as much fun as Target?!? And I’m super welcomed here! Petsmart is a pet friendly environment, and unlike Target, I’m not putting any service animals at risk! Now time to go buy some treats!” she wrote. No matter where she goes, Zira has managed to capture all of our feelings about shopping in two heart-melting looks. And here she is looking equally excited to be at PetSmart. One thing’s for sure: If we had a puppy as cute as Zira, she’d go everywhere with us too!